Okay, I love finding new librarian bloggers and so I am so happy that Michelle signed up to be a spotlighted blogger! :) Check her out below. I'm 27 and a school librarian at a middle school in West Virginia with two Master's degrees. I love my job and couldn't imagine doing anything different with my life. I've loved to read since I was little - my mom would read to my twin sister and I every night. I buy WAY too many books but the husband doesn't complain so that's a good thing. I've blogged on and off for a while but I really started to do it in October 2010. Once I finished Grad school in December I really started getting into it. I started blogging because I was reading all these blogs and all these books and thought "why don't I share my opinion too." And that's what started it. My blog is focused on mostly YA - especially paranormal/fantasy books. I'm going to have to branch out a little more. I participate in some memes but haven't started a feature on my blog yet. I hope to get to that soon! My favorite genre is YA paranormal and fantasy. My current favorite books are Across the Universe, Mortal Instruments series (I read these over a year ago and they still remain one of my favs), and Hunger Games (read the first one the week it came out and have loved them ever since). Mostly blogs. Especially IMM's. 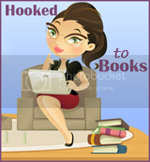 I don't know how many books I've added to my TBR pile because of book bloggers. Michelle is giving away a copy of 12.21.12 by Killian McRae in ebook format. Enter here. Ends 3/31. If you're interested in being a spotlighted blogger, please fill out this form.